When Google first launched the Google+ social network, they tried to boost the profile of the new platform by integrating it into just about every other Google service. Whether because the tactic had fulfilled its mission or Google realized it was kind of counterproductive, the days of heavy-handed Google+ integration are gone. Google has quietly removed some of the profile links to Google+ that were once found on their various services. One of the most noticeable ways Google is de emphasizing Google+ is by removing the plus sign from the +[your name here] label that once appeared in the upper right-hand corner of many Google properties like YouTube, Google Maps and more. The name is still their but the link to the user’s Google+ page is gone. This doesn’t mean it’s much harder to reach the Google+ page. Users can still get their by clicking on the app launcher grid of services in the upper right hand corner. This is part of a continuing trend where Google has lessened the number of ways they try to leverage the Google+ service. Last year, the company made many webmasters unhappy when they removed support for authorship, which had let some Google+ information show up on search engine results page. Another big change occurred a couple of weeks ago, when Google separated Photos, one of Google+’s most popular features, from the social network. Photos has now relaunched as a standalone property. In general, Google has been less aggressive in marketing Google+ to consumers and professionals. MarketingLand notes that Google “hasn’t reported Google+ active user metrics since October 2013 and has stopped making a big deal about — or even mentioning — Google+ during events like its I/O conference”. One possible explanation for all of these splits is that Google is trying to hedge their bets against further claims on monopolistic behavior. Requiring people to use a service in order to use another more popular service is the kind of activity that regulators in the U.S. and abroad look for. Whether or not those heavy-handed integration tactics were successful is a matter of opinion. Google was certainly able to boast high number by having saying everyone with a Gmail account or who commented on YouTube was a Google+ user. However, the truth remains that many people who gained their account this way don’t pay attention to their Google+ account outside of situations where they are required to use it. Forcing people to use Google+ isn’t the same thing as getting people to want to use Google+. These recent changes have prompted some people to suggest that the end of Google+ is near, but that hardly seems to be the case. Cosmetic changes to the way Google+ is shown on certain properties aside, Google+ is still in integral part of almost every Google service. The Google+ social media page may not be important in itself, but people are still using the their Google+ account for Connections, Hangouts, content distribution, etc. Another thing to consider is that Google+ is a useful tool for website owners. As was mentioned in previous articles, ecommerce sites can use social logins like Google+ to eliminate some of the steps involved in setting up an account. And though Google+ is no where as useful as Facebook for referral traffic, it generates enough that business owners would be remiss to ignore it. There is too much potential remaining in Google+ for the company to pull the plug now. 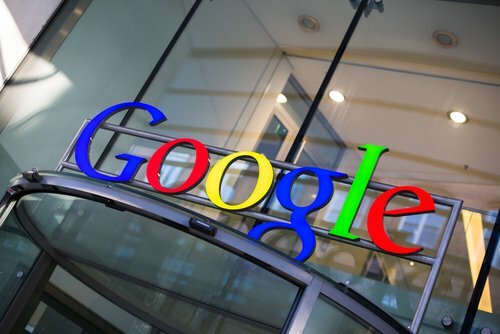 Google has already made statements that reaffirmed their commitment to the platform. In an interview with Stephen Levy, the head of Google+ Bradley Horowitz explained the current situation as Google+ removing what doesn’t work while doubling down on what does. For more news on Google, read this article on Google’s rumored plan to test one-click shopping on mobile.